Captain by name and nature. Clarke has lead a very successful team since he was announced as captain, despite Australia not performing well overseas. His leadership glows when batting and fielding, driving the others to go in for the kill. Leading into one of the most anticipated Ashes series ever, Clarke now more than ever needs to bring a team together that will step onto the field and push Australia back to the top. Clarke’s batting over the past 18 months has been nothing short of phenomenal; he now has another chance to take the lead. Bailey has rapidly boosted his domestic and national profile over the past two years with consistent performances. It culminated in his selection during the previous one-day series in Australia, where he not only scored a century but posted several other high scores which immediately said Bailey was ready for the Australian team. With Bailey captaining the Twenty20 side, and his solid batting technique, selectors have been quick to pounce on him to bolster what has been a shaky batting line up since the start of last summer. The biggest key for Bailey will be to not only back up Clarke in leadership decisions, but be a mentor for a team comprised of a lot of youngsters. Having the ability to play as an all-rounder and quick bowler (bowling around 130 kph) is something the Australians have been lacking. Coulter-Nile can bat almost anywhere in the order, and is a very lusty hitter, as demonstrated in BBL|02. There’s also his bowling action, which is very simple, and this is allowing him to bowl extended spells without fatigue. His career has blossomed in the past couple of domestic seasons, largely thanks to his efforts in the Big Bash League. This transferred into the longer forms, and Coulter-Nile is just getting started. There’s been a lot of criticism and negativity thrown Doherty’s way from both the fans and critics, but if you look past that, Doherty is very clever with his bowling. Sure, he may not take hauls of wickets, but what he does is use his flight to deceive batsmen, and concede as few runs as possible. On the England pitches, Doherty may well just find his mojo. With the UK more susceptible to green tops, perhaps the left-arm spinner will start to prove a lot of people wrong. Personally, I’m a big fan of the deceptive left arm quick. His career with the Melbourne Stars in the Big Bash League also put him on the selector’s radar, similar to Coulter-Nile. An 89 and four wickets in the 2012-2013 Sheffield Shield final also brought Faulkner into the spotlight as a bowling type all-rounder. Faulkner comes through in his action a bit lower than most, with a bit of a bend in his front leg. The English pitches are foreign to him, but there is no doubt that Faulkner will find plenty of confidence in being selected to represent Australia. Phil Hughes has a lot to gain, and a lot to improve upon in England. Coming out with a renewed vigour and technique in the recent Australian summer, the fans are expecting him to keep up the tempo. Having already spent some time with English county teams Middlesex, Hampshire and Worcestershire, Hughes is probably the best placed Australian in terms of understanding the conditions they will face. What most fans will want to see is attack from Hughes, getting to the ball and not giving the bowlers leniency. Last time Johnson was in England, he was hammered to all parts of the ground during the 2009 Ashes series. He revived his career over the previous summer, back at his dangerous best, sitting up higher in his action and using his swing far more effectively. Expectation is going to be piled high on the left arm quick. However, there is a new air about his game, one that could see him perform very well. Johnson needs to keep his confidence, and he has the ability to be a lower order batting rock. Application of skills critical. McKay is one of the top Australian short form bowlers going around at the moment, and there is no doubting his passion to hit the deck hard. He has an ingenious change of pace, and at the same time elicits a lot of bounce from the harder decks. Batting is up to scratch as well; McKay has hit some soaring sixes at domestic level. It will be his slower ball and change bowling that will be the biggest asset to the Australian. With Starc and Johnson the two primary quicks, McKay can work in tandem with Coulter-Nile, who is very similar in style and pace. Marsh might not be 22 until October, but Marsh is making a name for himself in Western Australia. His efforts at state level were enough to gain him a spot in the Australian Twenty20 and one day squads. Marsh is also a pace bowler who has a bowling average of under 30 in both first-class and List A games. Touted as a potential long-term player, if Marsh breaks into the squad, he needs to apply both the technique and mindset that saw him punch out his maiden first class century during the 2010-2011 season. The “million dollar man” in the 2013 IPL has had a mixed bag of results since October 2012. If Maxwell really wants to keep the faith of the selectors, then he needs to ditch his fast game style. The moment he walks back to his bowling mark, Maxwell pivots and comes in to bowl again. For me it ruins his game. All the necessary attributes are there; Maxwell simply needs to slow down for the 50-over formet. Starc is a left arm Glenn McGrath, albeit 10 kph or more faster. He has awkward bounce, but something of a tendency to stray balls down leg. However, his summer in Australia for 2012/2013 was probably his best, and the selectors have made the right move adding the quick to the squad. The main thing for Starc to prove is being able to swing the ball in conditions that are vastly different from the bouncy decks in Australia. He already has the ability to move and shape the trajectory; now it’s time to put that to the test. It is great to see Voges back in the mix after finding a groove in season 2012-2013 that saw him take his game back up to the levels when he was first selected late in 2006. Voges is aggressive when batting, and on England pitches that might stay low, front foot shots might be the way to go. The Australian selectors have gone back to the drawing boards in an attempt to pick a balance of experience and youth, and going with the 33 year old Voges in his current is the right move. With Brad Haddin set to possibly take the wicketkeeping role in the Ashes series, Wade has everything to prove to the selectors that he should be the one to be behind the stumps. There’s a power behind the left hander in his batting that is fueled by a deep passion to be the best in the business. I like Wade’s attitude, and while he is small in stature, his leaps behind the stumps are nothing short of spectacular. Working with Ian Healy to discipline his technique, Wade is very capable of reaching the heights that the fans want from him. Mental demons will be on the forefront of Warner’s mind as he heads to England, but he has to shake them off. The left-hand opener was fined $5750 after being found guilty of breaching the Cricket Australia Code of Behaviour, having launched a scathing attack on two very respected Australian cricket journalists. Perhaps this will give Warner the kick into gear that he so desperately needed over the Australian summer. He needs to reign in his naturally fast starts, and apply himself to his innings. The best example of this was his fabulous century (180) at the WACA against India in January of 2012. It was a beautiful display of power and a level head. This can be used to Warner’s advantage on the slower England pitches. Will it be shakes of heads or unanimous nods of approval for Watson during the Champions Trophy? It is the burning question on the minds of Australian cricket fans. Watson can demolish a bowling attack in one-day cricket, but cannot seem to replicate the results at test level. If Watson can get his mentality right, his ability to dominate and almost single-handedly control a match becomes a very destructive component of his individual game. Find this mojo in the Champions Trophy, and it might just set him up for the Ashes. 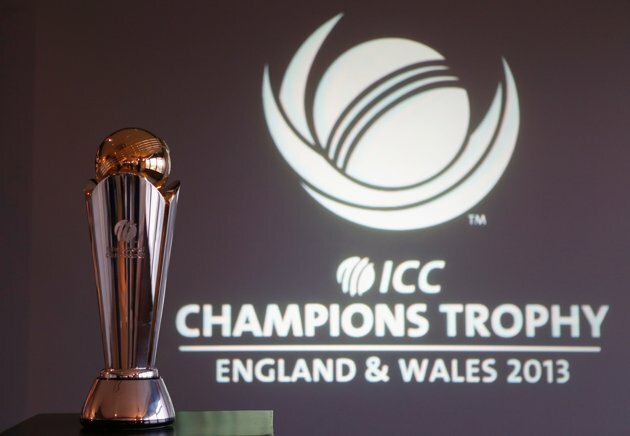 Champions Trophy history suggests that Australia is in with a very good chance to take home the silverware. It is the test before the Ashes. Win, and there will be plenty of English journalists who might toss their opinions back up into the air. Lose, or get knocked out early, and there will be a lot of debate surrounding the Ashes.